Variables declared inside a class and outside method without static keyword known as instance variables. Instance variables will be used by objects to store state of the object. Every object will have their own copy of instance variables. where as static variables will be single and shared(accessed) among objects. Static variables will be associated with the class. 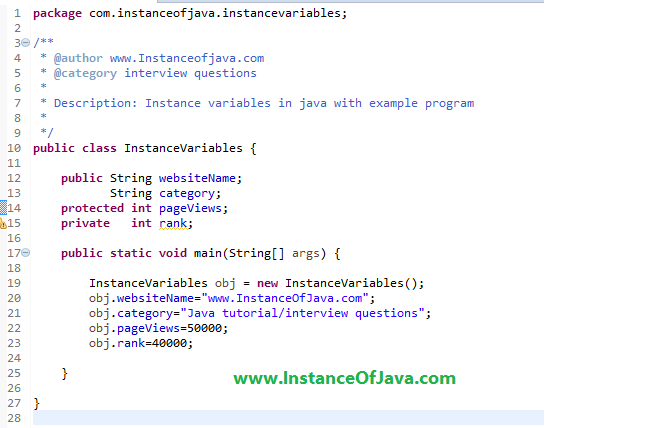 #1: Java example program on declaring and accessing instance variables.